Tristan Fewings/Getty Images for Foundation For Sports IntegrityDamian Collins MP. A court filing has revealed more details about how British lawmakers got their hands on sensitive Facebook documents last week. Ted Kramer, the founder of a software company suing Facebook, handed over papers after he “panicked” following a parliamentary order from MP Damian Collins. The court filing also reveals that Kramer was in contact with journalist Carole Cadwalladr, who exposed the Cambridge Analytica data breach, before he arrived in the UK. The UK Parliament seized a cache of highly sensitive Facebook documents last week. Now, a court filing has revealed more details on how the lawmakers got their hands on the papers. 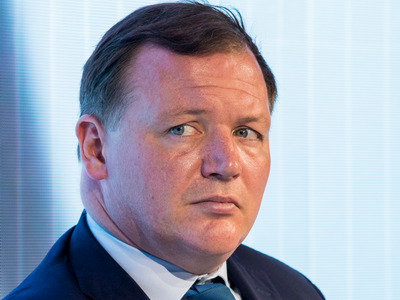 Damian Collins, chair of the Digital, Culture, Media and Sport Committee, secured the documents from Ted Kramer, the founder of a software company called Six4Three, while Kramer was on business in the UK. Six4Three is suing Facebook for killing its business – specifically, an app named Pikinis that surfaced images of people’s Facebook friends in their swimwear – when it tightened up its privacy policies in 2015. The documents, which could shed light on Facebook’s approach to user privacy, are sealed under the order of a court in California. But UK parliamentary privilege means Collins could choose to publish them. Six4Three offered a blow-by-blow account of how the papers were obtained by Collins in a filing to the San Mateo County Superior Court on Monday. The filing was obtained by Ars Technica and BuzzFeed. The filing, available here, confirmed a lot of what has already been reported. Namely, that Kramer was compelled to hand over the evidence on a visit to London last week. After initially refusing, he was escorted from his hotel to parliament, where he was told he could face a fine or imprisonment if he failed to produce the papers. But the update also offered an intriguing insight into Kramer’s movements. In a meeting with Collins at the MP’s Westminster office on 21 November, the filing says Kramer “panicked” after being told he could be punished for withholding evidence. Without telling his lawyers, he then handed over a bunch of documents that “seemed relevant.” This was all done while one of Collins’ staff was watching his screen. “He opened his computer, took out a USB drive, and went onto the local Dropbox folder containing Six4Three’s documents. He searched that folder using keywords and found files whose titles appeared to relate to the anti-SLAPP [Strategic Lawsuit Against Public Participation] opposition papers that DCMS had ordered him to produce. “Mr. Kramer did not expect to find the precise documents Mr. Collins had requested. Mr. Kramer had not previously attempted to open the folder where these documents were located, and did not previously know that he had access to them. “Mr. Collins had two staff members present with him, one of whom was directly viewing Mr. Kramer’s screen. Mr. Kramer then transferred to the USB drive files he believed, based on the filenames, to be subject to Mr. Collins’ request. Mr. Collins watched Mr. Kramer as he did this, and Mr. Kramer turned the USB drive over to Mr. Collins immediately. The filing also reveals that Kramer was in contact with journalist Carole Cadwalladr, who exposed the Cambridge Analytica data breach, before arriving in the UK. They arranged to meet and he sent her a calendar invite with the address of his hotel. During previous discussions between the pair, the filing says, Kramer told Cadwalladr that the Facebook documents were stored on Dropbox. Cadwalladr also told Kramer that she’d like to raise the case with Collins and the Six4Three founder agreed to speak to the lawmaker. There is no suggestion that Cadwalladr tipped off Collins about Kramer’s business trip to the UK. The Observer reporter did not immediately respond to a request for comment.